Nelson R. Ramirez was born in Matanzas Cuba, on November 25 1946. He arrived in the United States in 1960. He later lived in West New York, New Jersey, and graduated from Memorial High School in 1967. Nelson was single when he was drafted into the army. 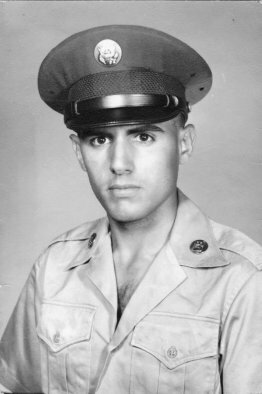 PFC Ramirez began his tour in Vietnam on February 7, 1968, and was assigned to the 526th CC&S Company. He survived the April 9th sapper attack on the Qui Nhon compound, and subsequently was sent temporary duty to Da Nang. He was assigned to the 156th HEM Company. He was killed there in a rocket attack in the early morning hours of May 5, 1968. Nelson was 21 years of age, and had been in-country 87 days. PFC Ramirez was laid to rest at Flagler Memorial Park in Miami, Florida. A devoted son and brother, his memory lives on in the hearts of his family and friends, who miss him still.